KISSIMMEE, FLA. – July 13, 2017 – Award-winning East Coast Defender announced today that the Florida-based builder of custom, hand-crafted Land Rover Defender’s will expand operations with the opening of a West Coast Design Studio. The Studio will be located in Malibu, California, one of the most desirable destinations on the West Coast and is scheduled to open September 2017. The centerpiece of the new property will include a finished East Coast Defender vehicle, encompassed by a luxury Design Studio where clients can create their own East Coast Defender SUV. Every vehicle designed at the Malibu Design Studio will be built at The Rover Dome in Kissimmee, Florida. East Coast Defender’s West Coast Design Studio will be located at 22333 Pacific Coast Highway, Suite 180 in Malibu, California. 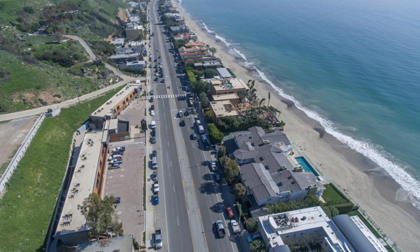 Malibu is among the most desirable locations on the West Coast and is widely known for its celebrity homes and stunning scenery, including wide and sandy Zuma Beach. The Malibu design studio will be similar to the new one that is set to open at East Coast Defenders’ Kissimmee location. It will include a full complement of accessories including paint, fabric, and wheels, as well as many other interior and exterior options. A finished SUV, prior to delivery, will also be on display so potential clients can see first-hand the incredible craftsmanship by East Coast Defender. Clients in the area can choose to have their custom East Coast Defender delivered at the Malibu Design Studio, at the Rover Dome, or directly to their home. All East Coast Defenders that are designed in the Malibu studio will be hand-built at The Rover Dome in Kissimmee, Florida.